It's been a long time since the Battle of Hernani, I know, and it was a trumped up conflict over resolved issues even when it happened, in 1830. The romantics hardly come off as radical today. 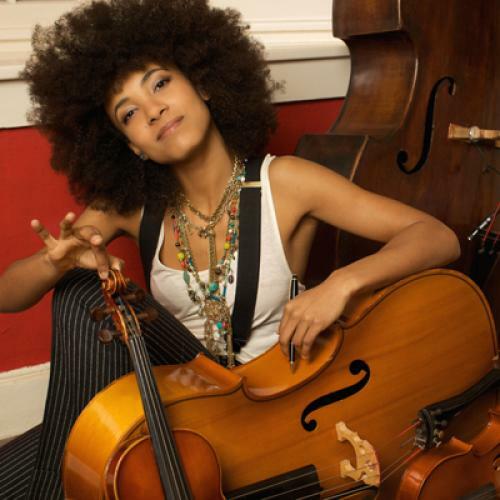 Still, they speak as ever to the lost teenager in us all, and I've found myself letting Blake make me feel all mushy and wonderstruck again, as I've listened to my favorite CD of the past couple of months: Esperanza Spalding's Chamber Music Society. Until a few weeks ago, when I watched her perform the songs from this album in concert, I had been impressed by Spalding but not moved. Early in the year, I had seen her hold her own on the bass—no small feat—with Joe Lovano's quintet, Us Five, at the Village Vanguard. But her first two solo albums struck me as overly commercial, lite stuff—not jazz, but jazziness. The new project, a collection of voluptuously romantic pieces for the instrumentation of string trio and jazz rhythm section, turned me around. The first track is a legato, minor-key setting of Blake's "The Fly" (retitled "Little Fly"), with an elegiac string arrangement by Gil Goldstein (a protege of Evans, the other white-haired Gil of chamber jazz, about whom I wrote a couple of weeks ago). It took nerve for Spalding to tackle a poem previous taken on by the likes of Benjamin Britten, William Bolcom, and Allen Ginsberg in his musical mode. Spalding's effort is brazenly heart-melting, the first thing I've heard from her that is as satisfying to listen to as its composer is to watch.